Here is a list of my top 4 favourite mascaras of all time!! 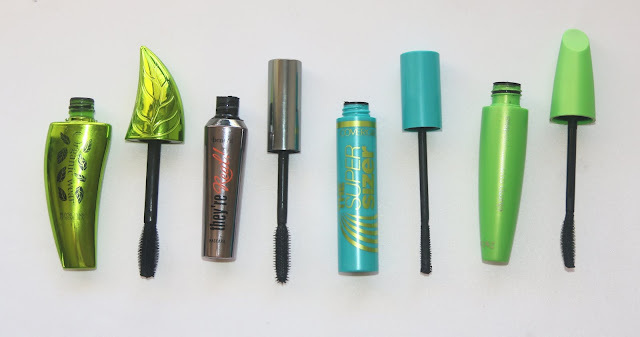 These are the mascaras I always go back to and can totally rely on! These are lovely, lengthening and extremely black! What more could you want in a mascara right!? I think I can put these in order of the ones I love the most to the ones I still love but just not as much! All these mascaras are amazing and I highly recommend all of them! 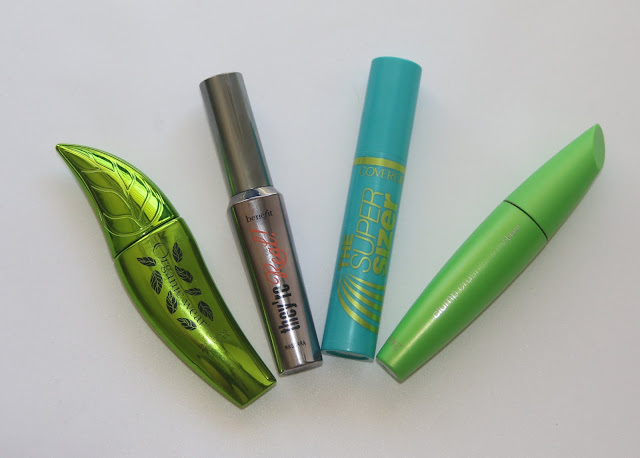 The Physicians Formula mascara is my everyday go to mascara! I can also build this up so my lashes are really long and thick! The wand is plastic, it is on the bigger side of mascara wands, though it's not to big that it gets everywhere when you are trying to apply it! The original formula is amazing and extremely black! It adds length to my lashes while also making them look thick and beautiful! This mascara doesn't clump up on my lashes and doesn't flake off throughout the day! I highly suggest this to anyone who hasn't tried it! Benefit They're Real! When I first tried this I thought the product was to wet and it took forever to dry, it made my lashes look the bad kind of clumpy! However after I let this dry down a bit and I tried it again! I knew why everyone raves about this mascara! Once again the wand is plastic, it has a little thing at the end of the wand that makes getting your lower lashes really easy! This is extremely lengthening! If you are looking for something thats gonna give you length, then this is definitely for you! This lasts all day, doesn't flake and does not smudge! Even the lower lashes stay smudge free all day! CoverGirl The Super Sizer! This is also a mascara that I didn't like when I first tried! It made my lashes really long and clumpy! I didn't like the look at all! I thought it would be good for my bottom lashes but when I first tried this, it went everywhere! However, like the Benefit mascara after I let this dry out a little it worked amazingly! I really only use this on my bottom lashes because the wand is so small and a great size to get the bottom lashes! I'm so glad I gave this another go a few weeks after I bought it! This is truly such an amazing mascara! I highly recommend this! Especially if you have trouble with your lower lashes, like I always have! This mascara may just be the answer! !